Wing night meets burger night! Our What's for Dinner? 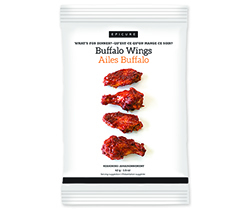 Buffalo Wings Mix adds kick to lean chicken burgers. Definitely dish up with our Blue Cheese Dip. Whisk eggs with water, then whisk in WFD Buffalo Wings Mix and breadcrumbs. Crumble in chicken, then, using your hands, gently mix to combine evenly. Divide mixture into 12–14 portions and form each into a ball. Flatten to form patties. 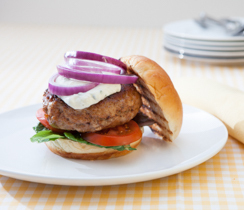 Individually wrap burgers, or portion into family-sized packs. 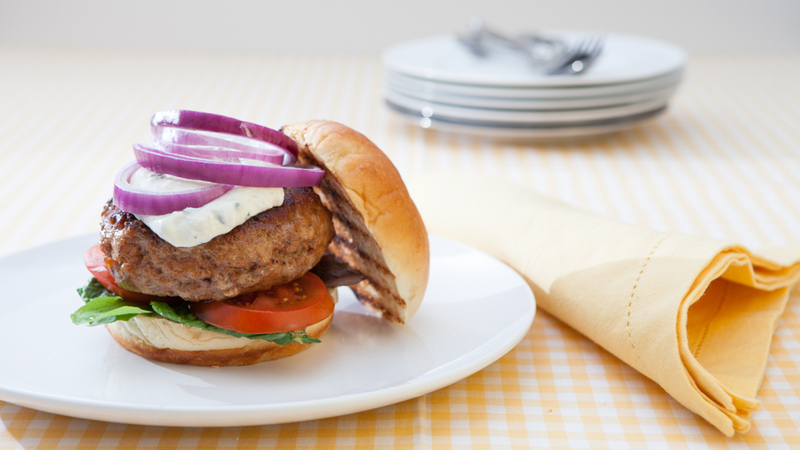 Be sure to separate each burger with a piece of parchment or waxed paper. Snugly wrap with plastic, then place in freezer bags. Freeze up to 2 months.